For maximum audio impact, your multichannel Onkyo receiver should be accompanied by a full-blooded surround-sound speaker set. Fitting the bill is the new SKS-HT870, a 7.1-channel system that injects power and vitality into all your movies, games, and music. 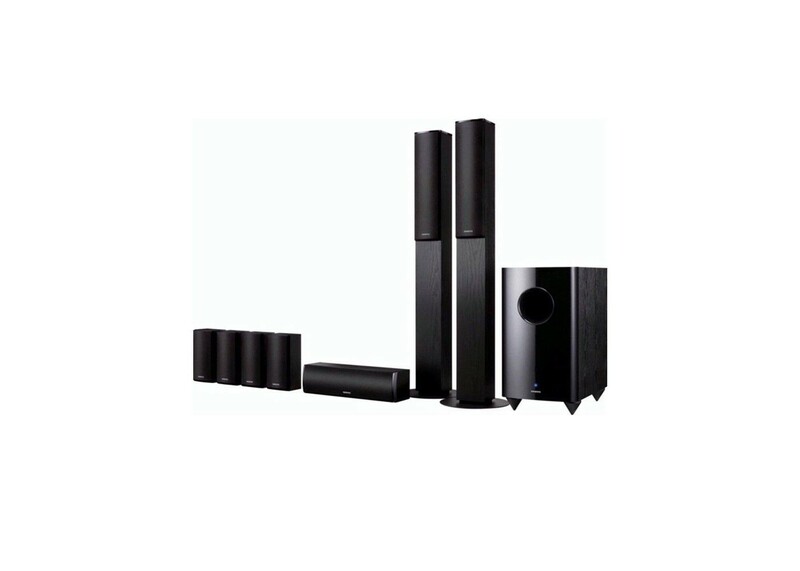 The highlight, both visually and aurally, is a pair of dual-drive, floor-standing tallboy front speakers rated conservatively at 130 W. In concert with the two-way center and full-range surround and surround-back speakers—each also rated 130 W—they deliver stunningly detailed high- and mid-range frequencies. Meanwhile, at the bottom end, a superbly calibrated 290 W subwoofer adds visceral heft to bass notes and low frequency effects. Dimensions (W x H x D): 4 1/2? x 9 1/16? x 3 3/4? Dimensions (W x H x D): 16 15/16? x 4 1/2? x 4 3/4? Dimensions (W x H x D): 10 13/16? x 19 15/16? x 16 3/16?